Its name might be as a clumsy as chewing on the infamous toy bricks, but the latest Lego game has more than a few surprises to offer. 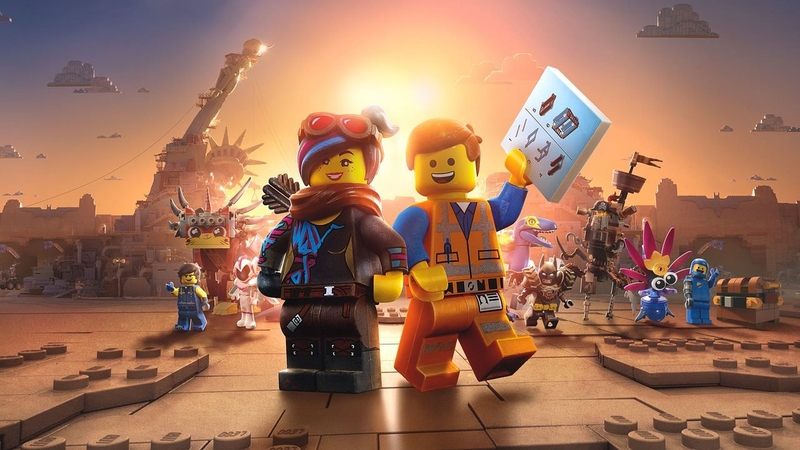 Historically movie tie-ins frequently feel a little lackluster, but the Lego franchise has been finding ways of imaginatively adapting films, and The Lego Movie 2 Videogame is no exception. Having had hands-on time with the first two levels of the game, I was able to experiment with some of the new features that were added in this sequel. As you read this, The Lego Movie 2 should be out and it’s yet another surprisingly enjoyable ride through the hilarious Lego megaverse, with an amazing cast of characters, locations and creations. While the game won’t stay completely loyal to the film’s narrative, it does so for the best reasons. Jamie Eden, the game director, wanted to make sure that each player could be their favourite character for as long as possible, so while some of them are kidnapped at the beginning of the game, it doesn’t take very long to reconnect with them. The Lego Movie 2 Videogame has also shaken up the standard formula in more ways than one. Originally, Lego games had different characters with different abilities that players would rotate through to unlock all the games many many secrets. But in The Lego Movie 2 game things have changed, because each of the characters is now a master builder, even the hilarious background characters you can unlock, apparently, the abilities are tied to a building mechanic. Just like all the other Lego games, half the fun is destroying heaps of Lego structures to build something needed to progress, but now it’s up to the player to build the right tool. At the beginning of the game you quickly get blueprints for generators, trampolines and sprinklers. These can then be built wherever they are needed in the map, requiring a little imagination from the player when it comes to exploring these open world areas. Because The Lego Movie 2 game has quite the open world. It might not be Red Dead Redemption 2, but it is much bigger than the typical corridors that Lego titles used in entries like Star Wars, Harry Potter, and Indiana Jones. The Lego Movie 2 Videogame is, in fact, the most open world the game has been, complete with side quests and a focus on exploration. If you caught the end of the first Lego movie, the citizens of Bricksburg and the expanded Lego universe were attacked by aliens from the planet Duplo. In the following five years the Lego worlds have been ruined, leaving a Mad Max styled apocalyptic wasteland in its wake. This wasteland of deserts and destruction is the first level of the game, and it’s almost completely explorable. You can scale the ruined ruins, drive around the dunes in typically hilarious vehicles and fight off the occasion wandering Duplo monstrosity. While there isn’t much of a sense of a real world like you might find in Horizon: Zero Dawn or The Witcher 3, there is a sense of wonder and reward for going off the beaten path. Everything here is here for the player, but that doesn’t hurt the game when everything is literally made of toys. Like every other Lego game before this, there are going to be hundreds of collectibles to find and plenty of side quests in addition to the main story. To explore these brave new worlds, players will have to refer back to their master building skills and find blueprints that can help them reach new locations through the mini open worlds. Like I said earlier building these objects still revolves around smashing everything else up, but instead of leaving a jingling pile of Lego for the player to interact with, there are resources to collect. Jamie Eden pointed out to me that it’s not exactly a crafting system but still, there is an element of resource management if only a very light one. Players collect Lego bricks of different colours that are used to create anything in the build mode. You won’t have to go resource farming or remember specific build patterns, but it’s still a lot of fun to experiment with the different tools to see if any can help you out. In the game’s hub world, players can unlock ruins of the former world. These ruins offer new characters, vehicles and buildings. While you can bring them into the main game, these buildings can be used to create a new thriving town for the Lego people. I only had a glimpse of this in my demo, but it felt like a slightly scaled down Lego Worlds, where players can add their own personality to the game. It doesn’t look like you can build brick by brick, but you will be able to make something unique if you want to. While you’re thinking in Lego, this game is upping the scale. In the demo I got my hands on at the event, there is a boss much taller than anything I have seen in a Lego game. The introduction of Duplo to the Lego world has given Eden and his team the opportunity to design some truly, huge over-the-top bosses for players to face. Fighting the gigantic giraffe (or was it a llama?) meant stunning the beast before scaling up it and the game suddenly felt a little bit like a much more colorful (and blocky) Shadow of Colossus. Whether the other bosses in the game are equally as big is yet to be seen, but the changes I’ve seen really freshen up the Lego formula. While they might not sound huge in writing, the feel is so different when you’re actually playing the game. 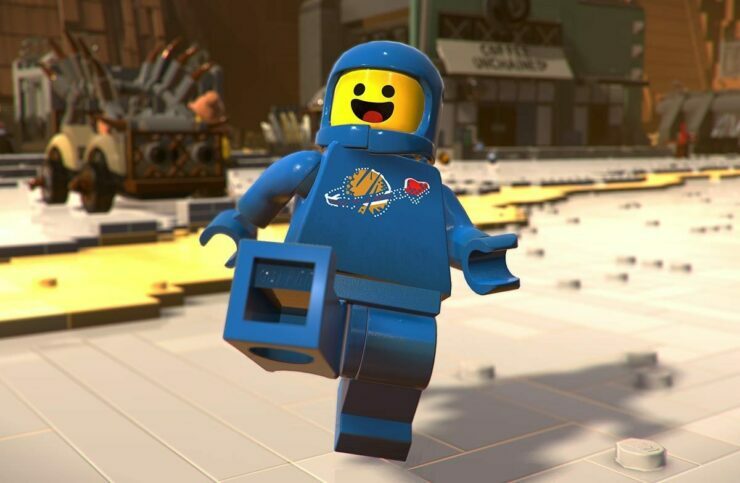 The Lego Movie 2 Videogame is out February 26th on PC, Xbox One, PlayStation 4 and Nintendo Switch.